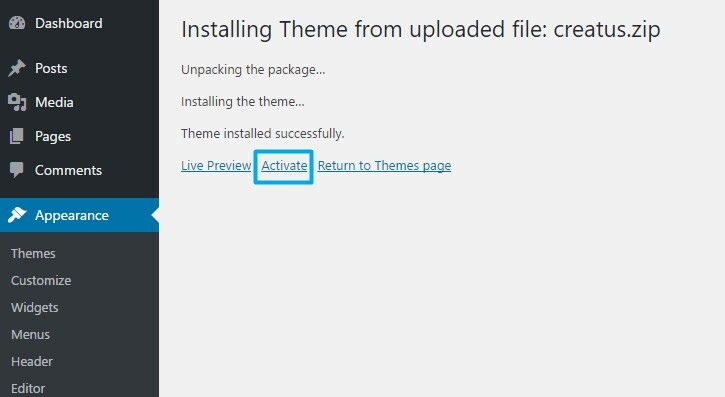 In this tutorial we will provide step by step instruction for quick and easy Creatus Theme Installation. Before following these steps please read System Requirements tutorial. 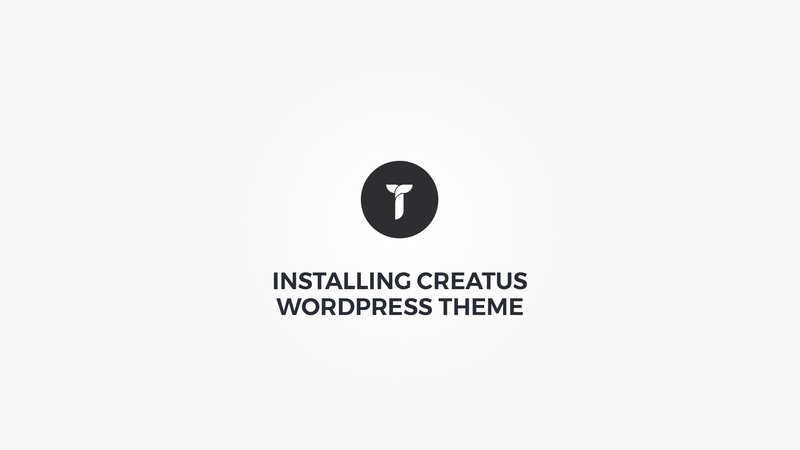 Go to our download area and download Creatus Theme Package. Save it to your computer. Extract the Creatus Theme Package and locate Creatus.zip archive. 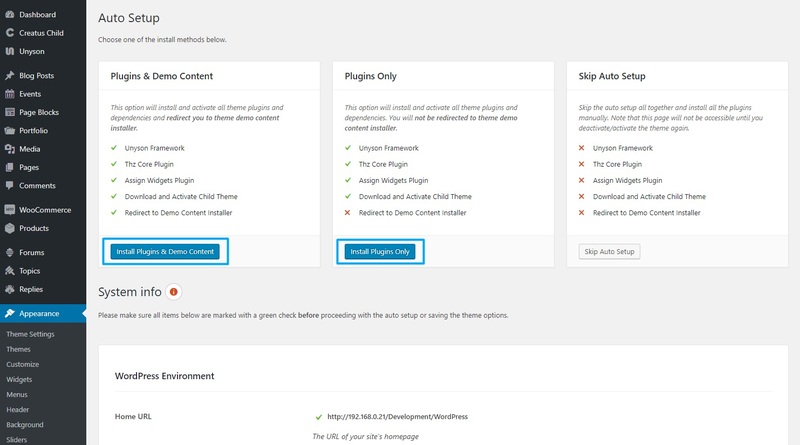 Go to Appearance > Themes than click on Add New button. 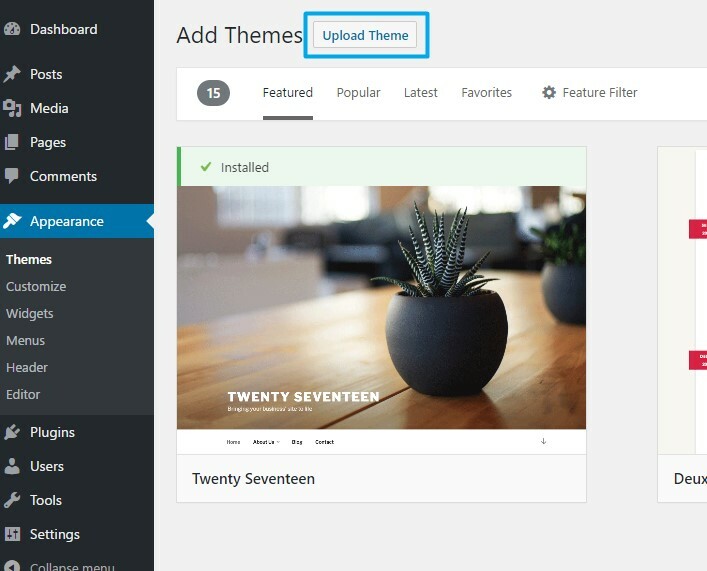 Locate the Upload Theme button and click on it. Click on Choose File button, select the previously located ( step 2 ) Creatus.zip archive and click on Install Now button. 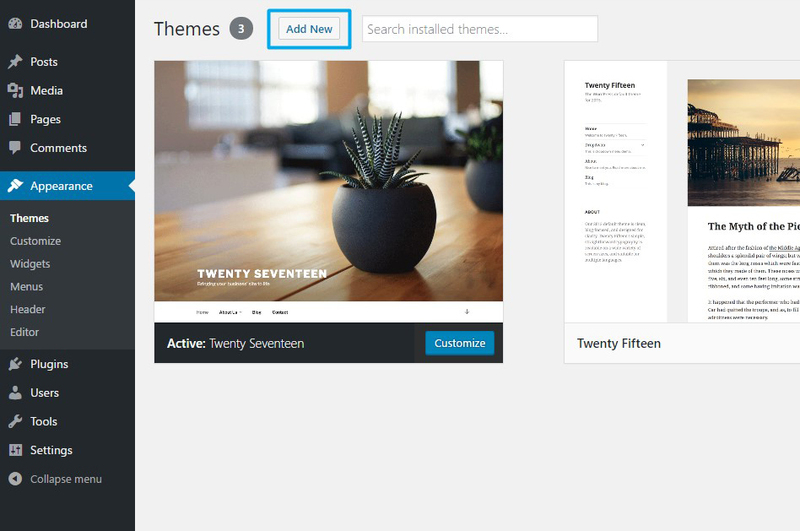 After the theme installation process click on Activate link.